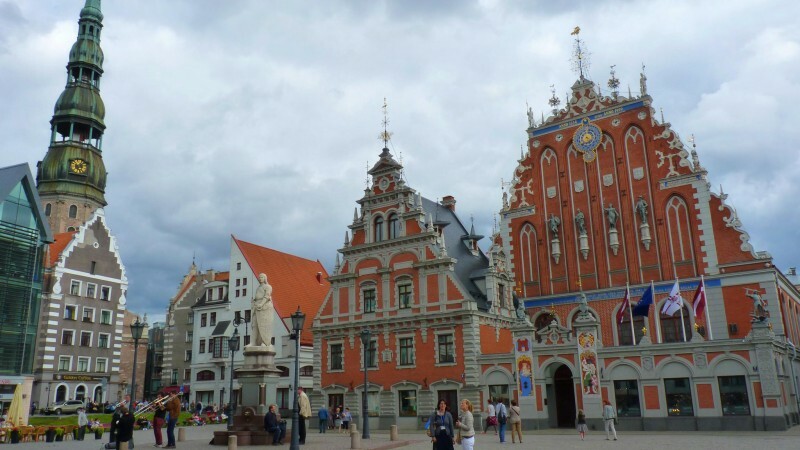 If you want to access your options on how to find a job in Latvia, this post is ideal for you. We have gathered below information on the Latvian job market and the best websites to find a job in Latvia. For non-EU citizens, it also features information on how to get a work permit in the country. Latvia is one of the youngest democracies in Europe, and regained its independence in the 90’s after the fall of the Soviet Union. In the past 25 years Latvia passed through a number of reforms to change its economy from a previous turbulent past. Currently, Latvia is a full European Union member since 2004, and more recently, adopted the Euro currency. Despite the improvements in terms of quality of life and economic freedom, the Latvian economy still struggles. It remains as one of the poorest in the European Union. However, the job market in its capital Riga is very dynamic. Many international companies have bases in Riga. Lower taxes and salaries attract many tech companies to this Baltic State. Currently Riga houses a relatively diverse society, being Latvians the majority. The Latvian capital is also home to sizable communities of Russians, Ukrainians and Poles. Due to its proximity to Scandinavian countries, the city receives a considerable influx of Swedish tourists. EU Citizens: If you are an EU citizen you don’t need a work permit to start a new job in Latvia. You will compete in the same conditions as EU nationals, as the level of bureaucracy is low. Non-EU Citizens: You will need a residence permit for work, which is most often arranged by your employer. Its relatively easy to get a job as a non-EU foreigner if you have language or IT skills. There are shortage mostly on these sectors, where skilled foreigners usually fill in. For more residence and work permit questions, you can check the The Office of Citizenship and Migration Affairs of Latvia website. CV.LV: The biggest job portal in Latvian. It has a version in English and Russian, and also in Latvian. There are a good number of offers in English (especially IT related). Latvian Government Job Portal: a job portal with offers that usually require a good command of the Latvian language. SS.LV: This is the biggest classifieds portal in Latvia, not only for job offers, but also for housing, cars, and all kinds of items and services. European Job Mobility Portal: a great website maintained by the European Union to find jobs in Latvia and in other EU member countries. visidarbi.lv: another strong Latvian job portal with many offers available in Latvian, Russian and English. Another option you may consider if you are a native speaker of English (or if you are very proficient on it) is TEFL (Teach English as a Foreign Language) jobs. TEFL jobs are widely available in almost every country in the world and they are a great opportunity to start in a new country, even if you don’t have the knowledge of the country’s official language. There are many online TEFL courses that will help you to land a job with a relatively small investment of time and money. Working online can be also an option in some countries. It depends on your skills and income, as the cost of living varies greatly from country to country. You can check this link for a list of professions that can be done as remote work.